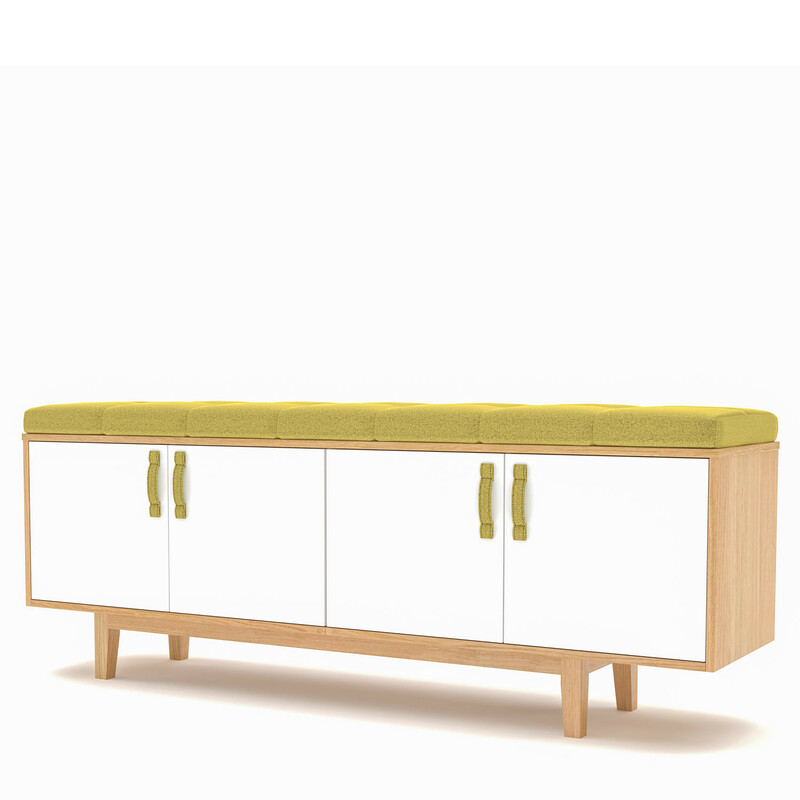 Jig Credenza is a modern playful storage unit made to be used anywhere in the office. Its modern modular and functional design gives it character. 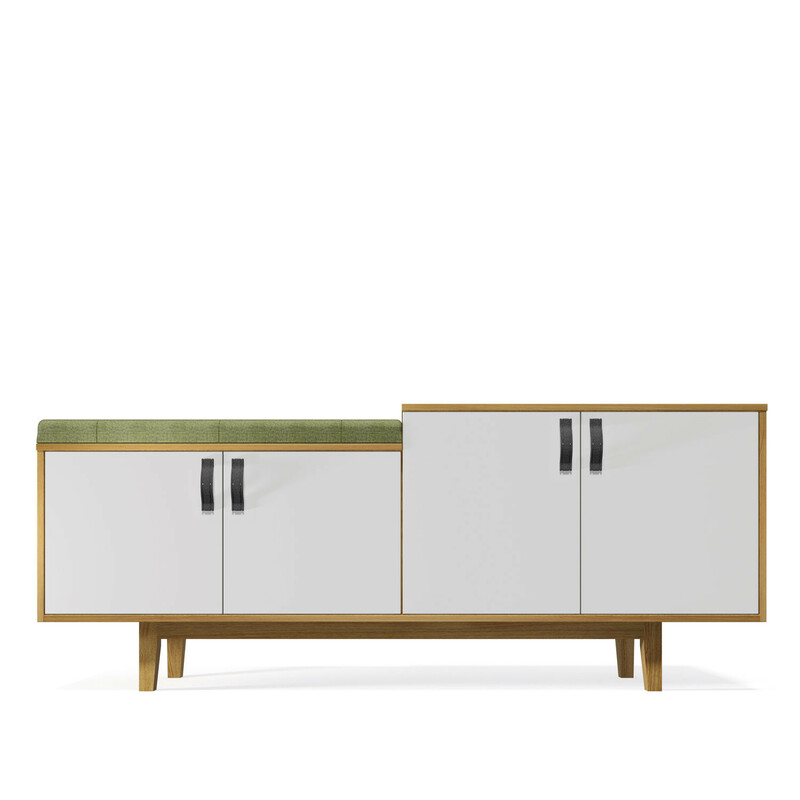 Jig Credenza can be customised to be either a low, high and low/high configuration. You can make Jig be both a storage unit and a seating unit. 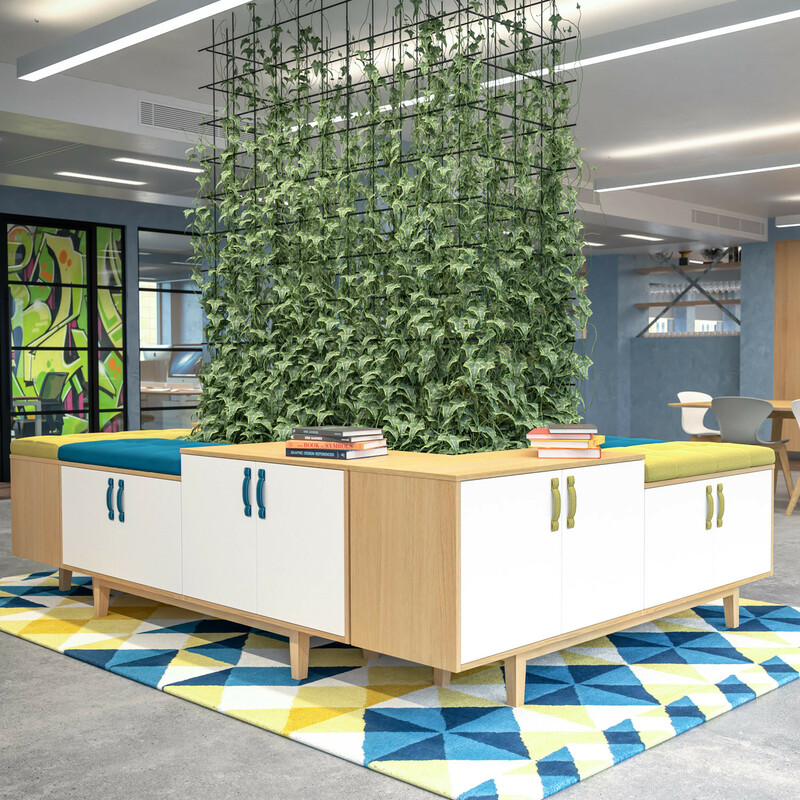 Specified with upholstered seat cushion, Jig offers the option of having either a full or half cushion applied to the storage unit with the option of contrasting buttons. 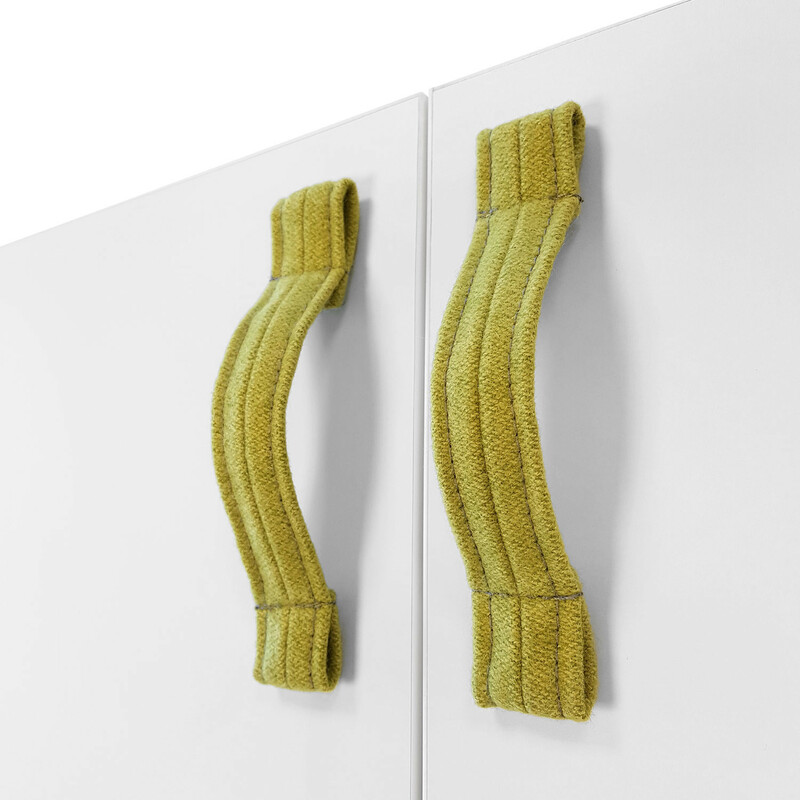 The door handles are stitched fabric, vinyl or leather depending on the look you want to achieve. 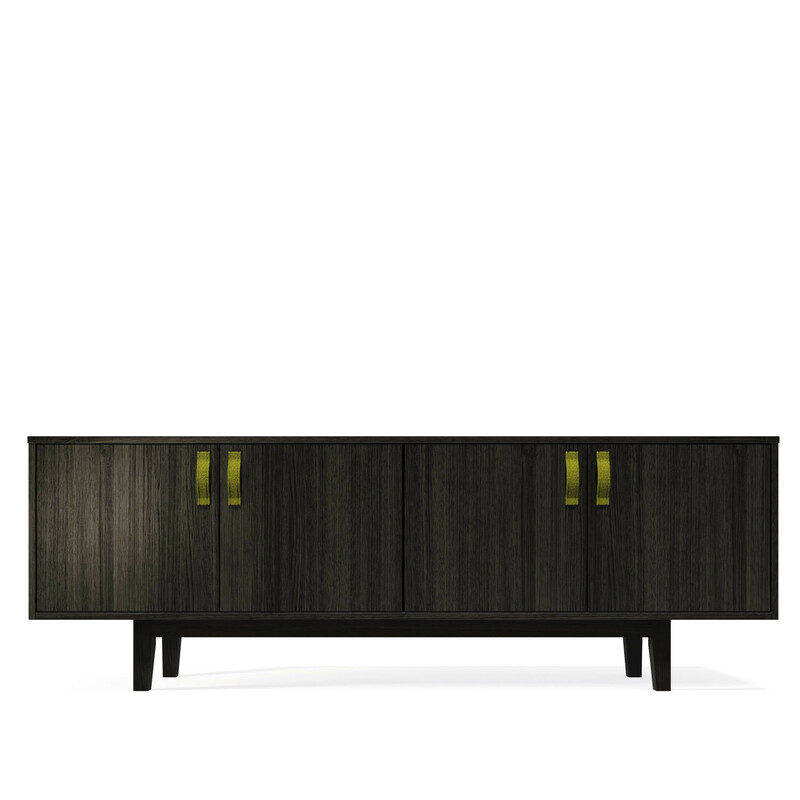 Jig Credenza either natural oak and black oak finishes for the cabinet and base. The doors can then be finished in the same or an alternative mfc finish. Jig Credenza is the missing storage unit we all have been waiting for. You are requesting a price for the "Jig Credenza"
To create a new project and add "Jig Credenza" to it please click the button below. 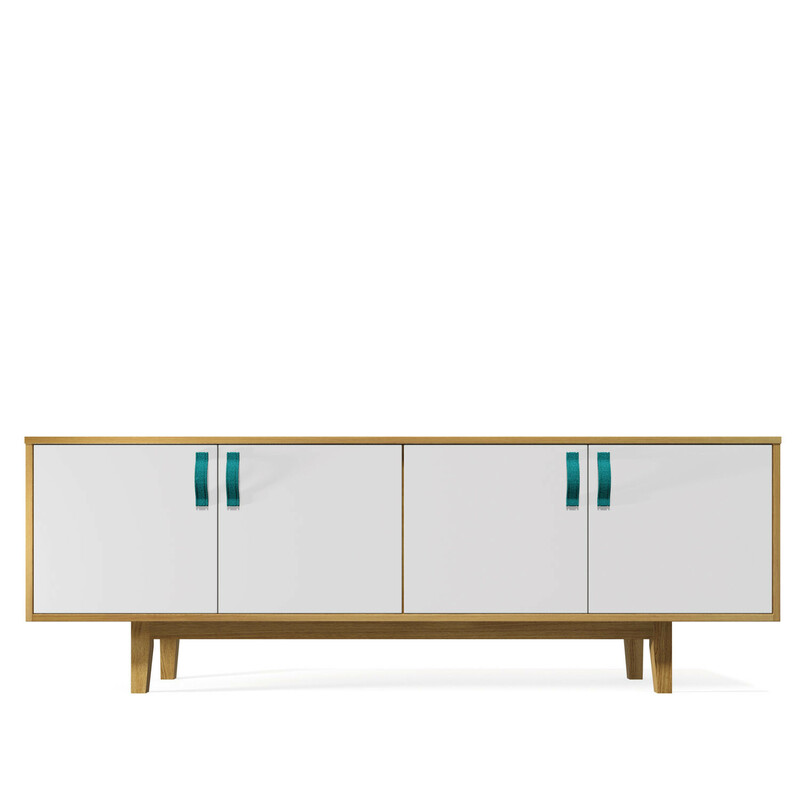 To add "Jig Credenza" to an existing project please select below.